Braswell Family Farms is a fourth-generation family-owned company producing and marketing quality feed and eggs for American families and businesses. We strive to provide the safest, highest quality eggs & feed to our customers in a manner that glorifies God. The beginnings of the our company extend back to the 19th Century on the site of the Boddie Mill. We're commited to a work environment that promotes the well-being of our family, at work & at home. Start and end your day with mouth-watering recipes including our favorite ingredient: eggs, of course! 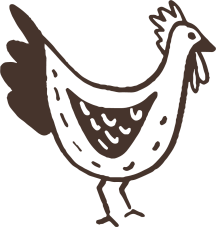 Stay in the know of what's going on at Braswell Family Farms, get to know our team, egg facts and news, and much more! Be the first to know about Braswell Family Farms news, updates, specials & more.